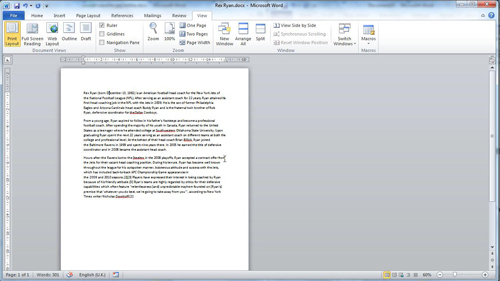 In this tutorial you are going to learn how to zoom word 2010. This tutorial will cover the three main methods of adjusting zoom. Open a Word document. On the ribbon bar at the top of the window click the “View” tab. Here you will see a section dedicated to “Zoom” functionality. Click on the large icon of a magnifying glass and the “Zoom” window will open, here we are able to select different zoom levels. Zooming can also be achieved with the use of the mouse. Simply hold down the “Control” button on the keyboard and use the scroll wheel on the mouse to zoom in and out. 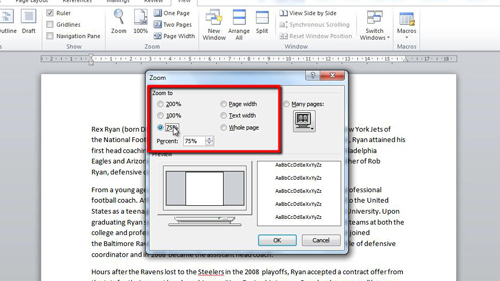 The last option for learning how to zoom word 2010 is to use the zoom slider which can be found in the bottom right of the window. You can simply drag the pivot along the slider to adjust the zoom level. 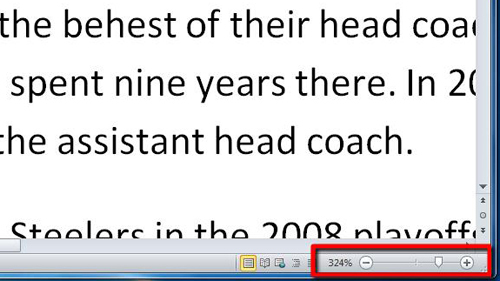 To the left of the slider is a percentage which tells you what level the zoom is currently at.